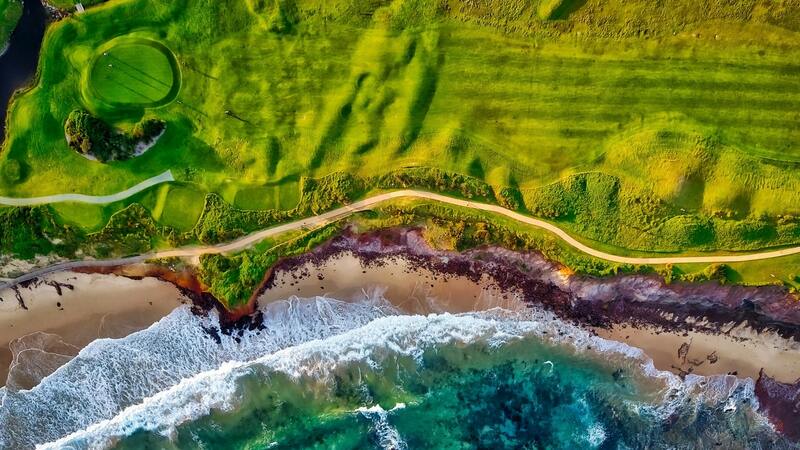 Capturing aerial images in the world’s most beautiful and stunning places has never been so easy before the drone thing happened. The development in photography has been tremendously impressive in recent years. It’s just like a remote-controlled toy for the people who are obsessed with photography. 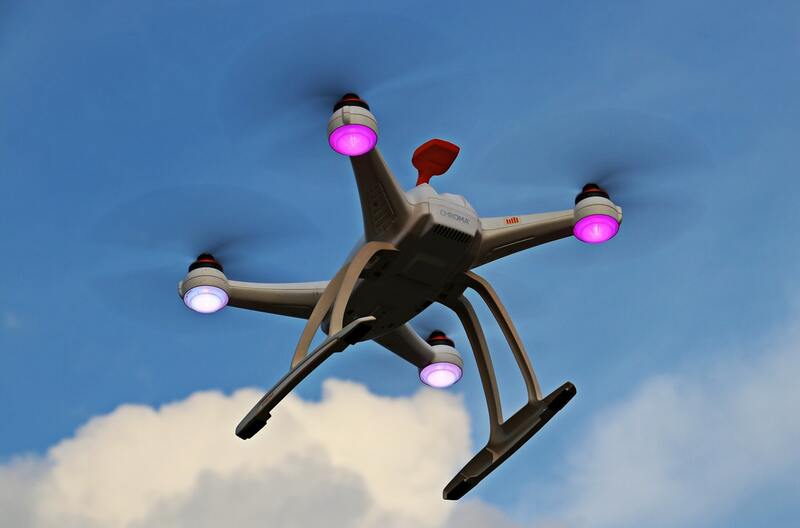 Drones have become very popular and affordable for everyone. In the past days, the aerial shot wasn’t so easy like nowadays. Without a helicopter, photographers and videographers couldn’t attain the shots and angles so easily. And it was almost impossible to access to restricted areas. But drone has made things easier. And along with the rising desire for drones, the price has dropped. Now it has become child’s play to get a camera in the air. But getting started with a drone can be challenging for you. Which is why I’m here to share you some tips that should help you get your camera in the air. There are a lot of drones available in the market. But there are some things that you should consider before buying one for yourself. There are two types of drones, one with a built-in camera and another with no built-in camera (in which you can attach on your own). Drones which have built-in camera are usually larger and their cameras don’t have a very high resolution. On the other hand, drones which are smaller allow you to attach your own camera and it’s way easier to manage. There are sturdier, lighter and cheaper drones available in the market for the beginners. They have fewer features but they aren’t expensive and heavier. I recommend you to buy a drone which matches your skills. 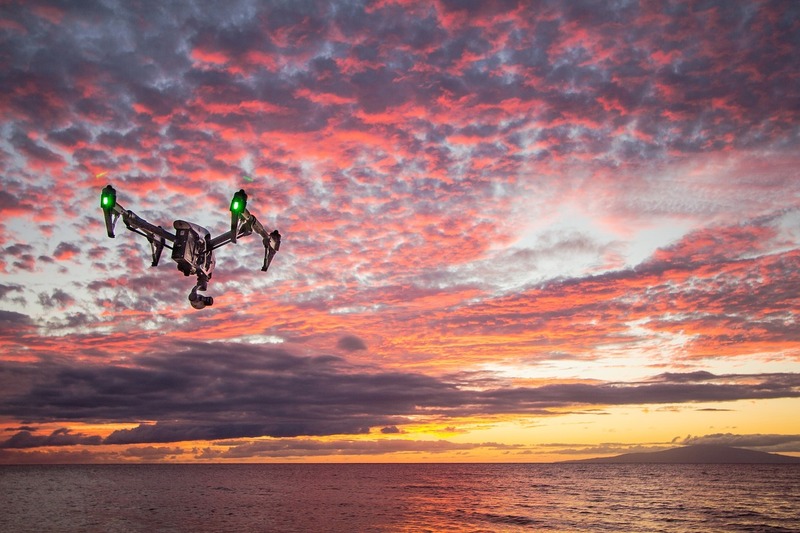 Once you get your drone in hand, now it’s time to know when is the right time to get out and start shooting your awesome footages or photographs. The golden hour is the best hour to go out with your drone camera. Views look awesome when it’s the sun rising or sunsetting time at 100-foot altitude. It takes different challenges to capture on sunny days and capture on cloudy days. A sunny day means a shining day. The optimal lighting goes into your drone’s camera. In this case, the only disadvantage is it’s hard to see the live-view through your mobile’s screen because of the sun rays on the screen. But you could take help from sun shades. On the contrary, a cloudy day is for moody photography. The disadvantage on this day is the chances of image gain and noise. The small sensor can’t collect enough light for your shot. A blue sky with clouds or a gray sky with rolling clouds are the best dramatic moments to capture shots. Windy weather is dangerous for your drone, it can cause damage for you. It depends on what you are expecting to shoot. The hills or lakes, rivers, or suburbia are beautiful options to take. Make sure that you have permission from the government authority to fly your drone in places. OR if you want to capture in your neighborhood, then ask for permission to your neighbors before you take the flight. If you want to be a master of it, go study the manuals. There is everything you want to know in the instruction manual. What your drone can do and what cannot, all the answers are there. It will save a lot of your time. There are a lot of features in a drone and learning these help you to get better shots. Smart Feed: It’s a great tool for newbies. It helps you to see what exactly you’re capturing with your drone and allows you to get a great shot. Tracking: It’s a cool feature. Sometimes there’s a feature called “follow me” in drones. When you enable this feature, it allows the drone to keep yourself in the frame all the time. Just turn on the “follow me” option and put your phone in the pocket, the drone will automatically cover you. Geofence: This feature is like an invisible jail. It restricts your drone from going too far or too high from your estimated meters. There are some legal rules of where, and, and who can fly a drone. UAVs in the USA weighing 0.55 and 55 lbs need FAAs registration. It means you need to register your drone before you take a flight. Just give them your name, address, and email with a small fee, it’s that simple. You obviously wouldn’t want an unclear, weirdly framed photo. Taking clean and nicely framed photos is an art. With time and testing, you can be nailing it. Rule of thirds, golden ratio, leading lines, etc. are some basic photography rules. You should be known about them. If you’ve never heard of them, then get back to study the basics. Going slow ensures you to stay stable and you can use long-exposure. It’s good to go slow when you’re capturing crashing ocean or swaying trees. When you’re flying high, look for symmetry such as colors or repetition or shapes, etc. You’ve to understand the camera options of your drone. Cameras like Autel Robotics or DJI have the best camera controls. A 4k recording is good but I recommend to shoot in 1080p at 60 frames per second. These cameras allow you to shoot in HDR mode and it brings details to image pop with color. You should always edit the photos or videos after the shooting is complete. The success of your work always relies on post-production. Editing drone photos or drone video editing takes as much practice as it takes to capture them. The skill of considering differences in angles and lighting takes your photographs to the next level. Try various types of software or drone video editing services to help you to achieve the goal that you’re looking for. Professionals don’t become proficient in a day or a night. It took a lot of time for them as well as me and you. It’s challenging but with patience, practice, time, and planning, you could be mastering it. I hope these tips will help you to get started with your aerial photography. Get your drone now, and start flying.